Amateur and professional chefs alike are discovering the benefits of bamboo cutting boards. 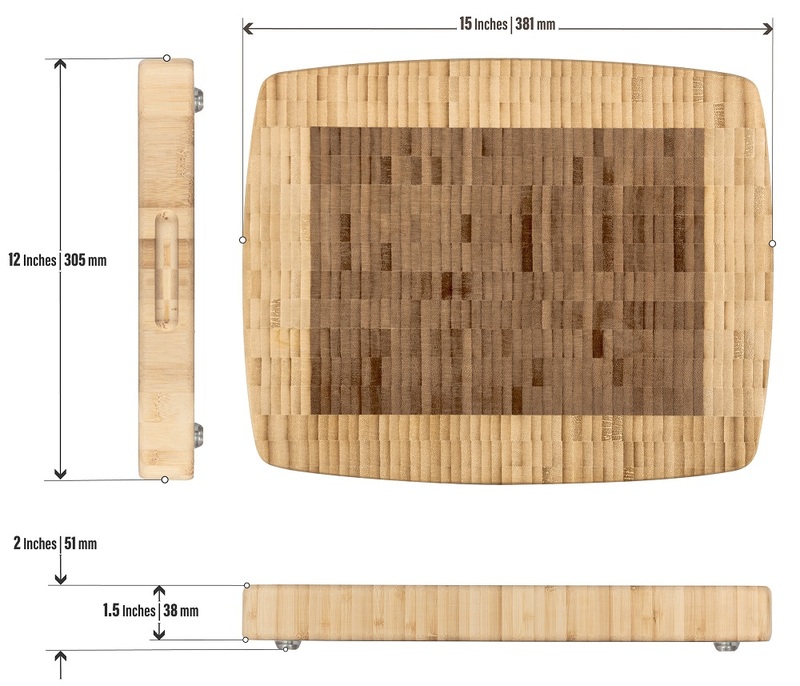 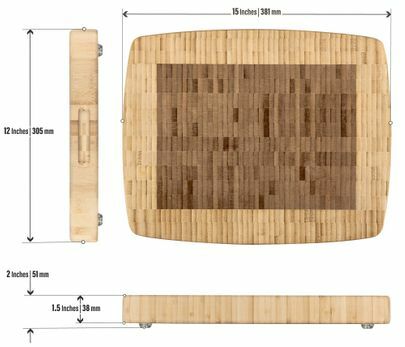 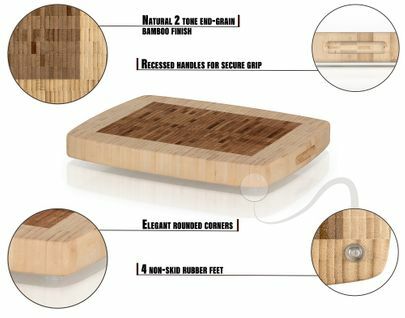 Prosumer's Choice Gourmet Bamboo Cutting Board with Dual-colored Design is a compact but roomy butcher block board that adds beauty and functionality to any kitchen. 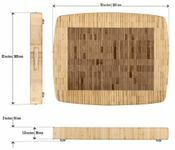 A food cutting board designed for the chef in all of us, the all-natural bamboo wood not only looks beautiful but is safer on knives than plastic chopping blocks that scar easily and dull blades. 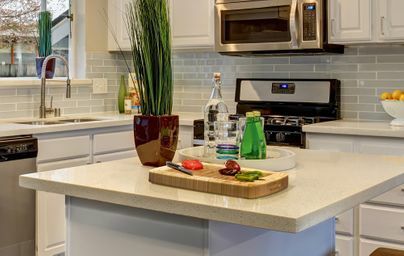 The unique and hand-crafted dual-colored design will make any countertop look like a high-end kitchen and chef-friendly features include non-slip rubber feet that keeps your food prep station in place as well as a raised surface so that water and other liquids can evaporate more quickly. 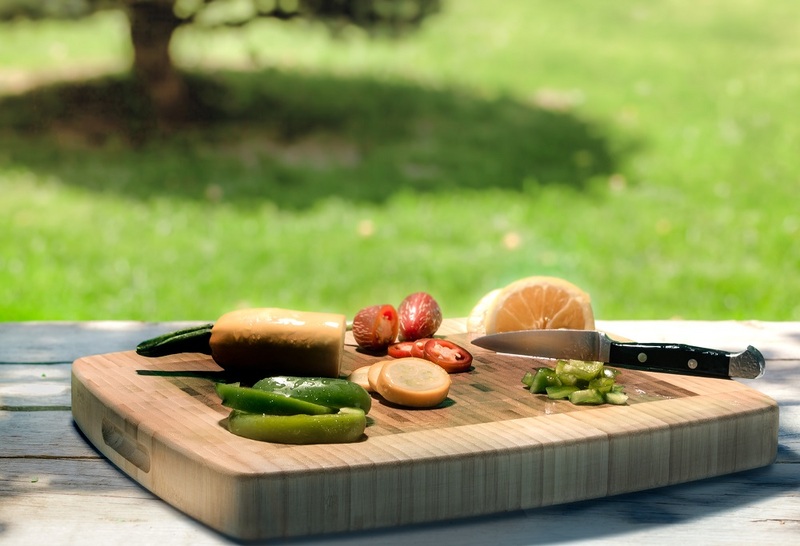 Made of eco-friendly and all natural bamboo sustainably harvested, you'll enjoy the benefits of owning a bamboo cutting board and feel good that you're doing your part to help our environment.